Why Is Keeping Out Rodents Important? There are a number of issues that come with having rodents in your attic, and none of them are pleasant. They tend to use the insulation for nesting purposes, which decreases its functionality. This means heat escaping from your home, and a higher energy bill over time. Your family's health can also be at risk as their waste, or the decay if they die up there, can carry all sorts of diseases. 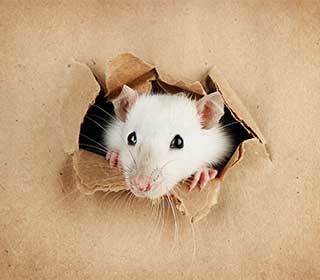 In either case, you'll want to get your insulation replaced as well as the attic cleaned and decontaminated as soon as you can, so what are the top indications that rodents have invaded your attic? Scampering Sounds, Especially At Night! If you've repeatedly heard the sound of something running around up in your attic, and know nobody else in your home is up there, this is a good starting point to begin looking for more solid evidence. If it frequently happens at night, it's likely rodents rather than pipes, as they're nocturnal. Have you noticed holes in boxes stored in your attic, or wood that looks like it's been chewed on? This is a solid sign that you have a rodent problem. They chew on hard things to wear their teeth down, as well as take pieces of materials like cardboard for their nests. This bad smell may be noticeable when you go into the attic, or even just being near it. The waste will certainly emit a nasty smell, but it will be far worse if there are in fact rodents who have died there. If you can't find another source of that disgusting smell you keep getting, you should probably give the attic a check. Of course, the most obvious sign would be small brown droppings, or odd spots in the wood that look greasy or wet. As for a carcass, don't think that means the issue is already over and done with. There's a high likelihood that's not the only rodent that's made its way into your attic. It's best to call local animal control to ensure they're all cleaned out, then get rodent proofing installed to make sure it won't happen again!